Our product, Factbird, is currently installed and used in Europe and North America. Used in various production process - We are supplying valuable data from various processes, such as filling, freeze drying, capping and packaging to our users. 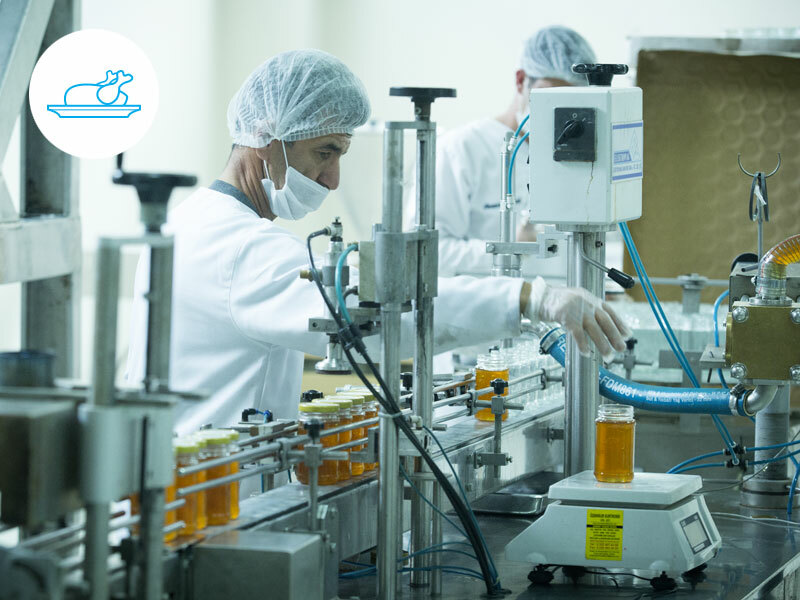 Used in controlled environment - Factbirds are operating in controlled environment in the pharmaceutical industry from CNC to Classified Aseptic filled areas. Used at our co-innovation forum - Many of our current customers are part of our co-innovation forum. Reference calls and visits to Factbird customers can be arranged on request. and used in more than 13 different industries. to improve output by 14%. Junckers is Europe’s leading manufacturer of solid wood flooring for the sports, residential and commercial segments. Vikima Seed is the leading producer of vegetable seeds in Europe and USA. Customers often ask if Factbird could be used instead of traditional SCADA system? The cycle time of many machines became available on Smartphones, in real time. Supplement your old SCADA system with an add-on Factbird. Factbird can replace old production monitoring systems. Video makes it so much easier to analyze how production lines stop. Fact-based judgement enables clear improvement in productivity. In seconds, the production manager gets updated about production status. Measuring water consumption in a factory could save a lot. Stepwise Approach – Install the data collection system one by one. Just as many as needed in each department. Your maintenance system is depending on manual data entry. Sign up to our newsletter to receive Blackbird news and product updates. Thank you for signing up to the Blackbird Newsletter! Look forward some great news and updates about our products.